The Best in Resurfacing with the least downtime!! Not everyone is in the market for a facelift, Not everyone can afford a facelift nor the down time it requires. Truth be told we aren’t so sure that many people would want a facelift even if they could afford the down time and the financial cost. The truth is we all want to look younger but we still want to look ourselves, now with the Venus Viva TM, we can. 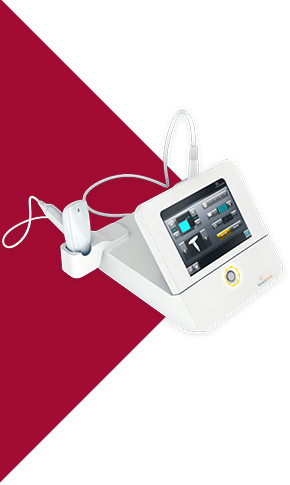 The Viva is a non-surgical radio frequency nano-fractional device designed to resurface the skin. The device delivers targeted columns of radio frequency energy to the tissue, designed to damage the existing collagen, stimulating the body’s natural healing response. Once the collagen has been damaged, the body begins to repair the collagen by replacing the damaged collagen with new collagen. The radio frequency also stimulates the body to produce new fibroblasts, the “houses” that create collagen, thus increasing the amount of collagen in the tissue. This wound healing response creates a smoother appearance to the skin, plumps up fine lines and wrinkles, treats acne scars, and reduces pigmented lesions and textural irregularities of the skin. It truly is cutting edge technology designed to take years off your age without the slicing and dicing of the skin. The Naked truth will keep you comfortable throughout the procedure through the use of topical anesthetics. It takes only 90 minutes to be well on your way to your newest best you. *Customized pricing for smaller areas available on request. Is there any discomfort during the procedure? Yes but it is mild as we use a topical numbing cream to keep you comfortable. Is there any discomfort afterwards when the numbing wears off? Swelling of your wrinkles occurs immediately. While it is possible for patients to experience swelling in the under-eye area for the first day, this swelling will subside. For the first three hours, there will be redness and slight heat emanation from the treated area. It is unusual to experience severe or excessive pain; let us know if this occurs. Is there any down-time from this procedure? By definition down-time would imply that you would be unable to return to a state of normalcy after the treatment. This isn’t the case, although we do not want you to wash your face for the first 24 hours and it is recommended to take it a little easier than normal the day of your treatment. Do I have to discontinue activity for any period of time? Post-treatment redness is mild, and you may return to regular activities immediately. If you experience heat emanating from the treated area, this is normal—do not apply ice or cooling compresses, as the heat being produced in the treated area is your body’s natural healing response. May I wear a moisturizer after the treatment? Moisturizer should be applied regularly throughout the course of your treatment series, and it may be applied 24 hours after each treatment. Do I need to avoid the sun during my treatment course? Avoiding direct sun should become a permanent component of your long-term skin care program. Always use a broad-spectrum sunscreen of SPF 30 or greater, even on cloudy days, regardless of season. Is there some sort of long-term skin care to consider? In addition to avoiding direct sun exposure, we suggest all clients use long-term skin care that will optimize the youthful, rejuvenated appearance you have achieved. We offer clients a program for long-term facial skin maintenance. This unique program offers state-of-the-art skin maintaining and rejuvenating creams that are only available and administered by our medical team. Will I be happy with my results? Put it this way… if we didn’t believe you would truly love your results we wouldn’t have bought the machine to begin with. We can’t get enough of it ourselves. I love the products they carry! The staff is friendly and knowledgeable. The salon is clean and well laid out, with all the highest tech machines. Definitely recommend it. Amazing. The facility is clean, and inviting. The staff are friendly, and want to make sure you are treated right. Highly recommend!